Paul became the Pastor of New Hope Church in August of 2000. Prior to becoming the Pastor of New Hope, he served as a Youth Leader in Lake Charles Louisiana. Upon moving back to Western New York he became a Bible study leader, then interim Pastor of Lancaster Bible Church. 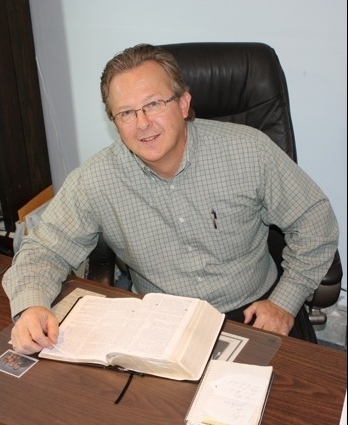 After serving as the interim Pastor he played a role in helping to start New Hope Church. After several years of serving under the leadership and mentoring of Rev. Steve Allen of New Hope, God called Pastor Steve to serve in a ministry that plants new churches. Through a time of prayer and seeking God’s direction, New Hope Church asked Paul to become the Pastor of New Hope Church. Paul has been married to Kathy, his High School sweetheart, since August of 1979. Paul and Kathy have a son Clint and a daughter Kayla-Rae. Paul and Kathy have a daughter-in-law Nicole, along with 3 grandchildren.